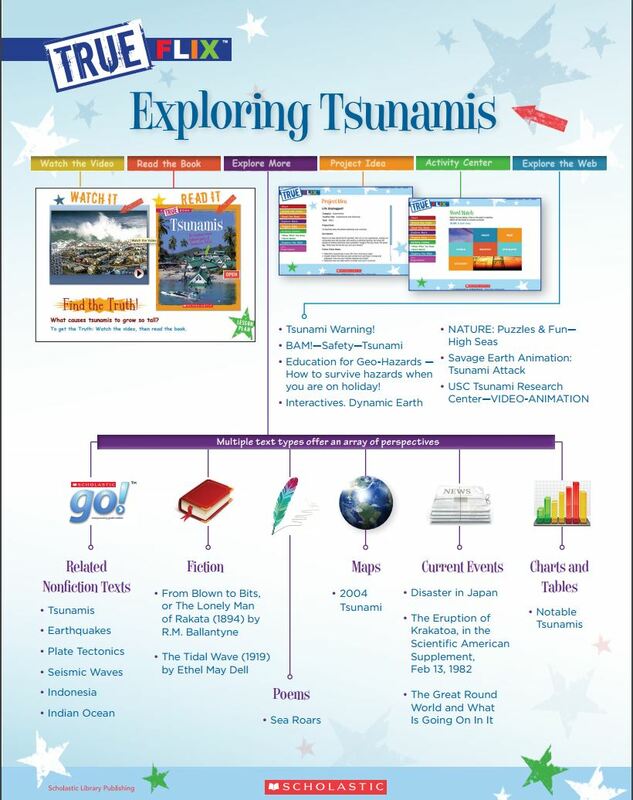 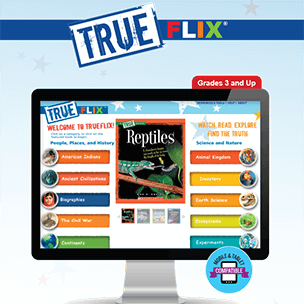 Offering hundreds of units to supplement social studies and science core curricula learning, TrueFlix® is a highly-engaging multimedia resource that can be used in the library, the classroom, on mobile devices, or at home. 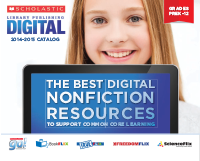 Beautiful, authentic ebooks are enhanced with a deep and diverse reservoir of related content in a variety of text types and media–including primary sources, fiction, videos, audio clips, images, and related websites. 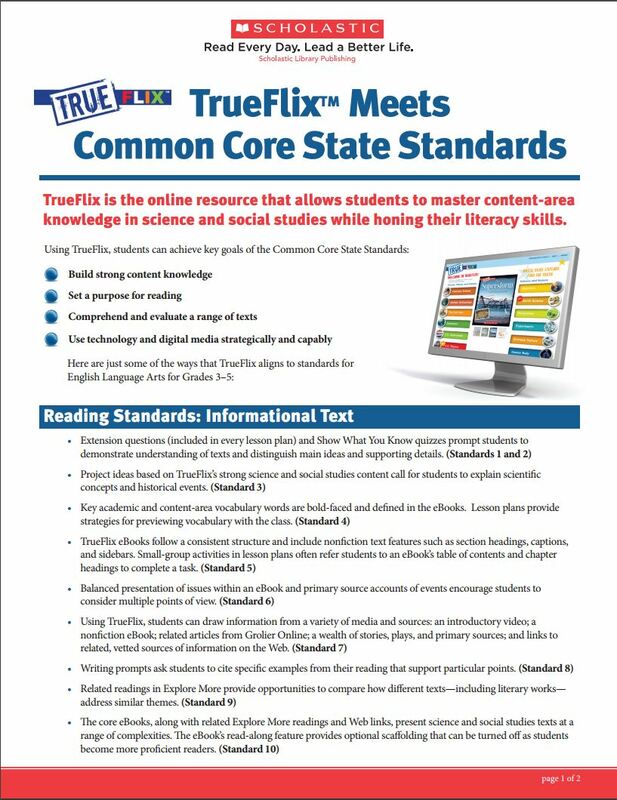 TrueFlix® helps students improve literacy skills, build content-area knowledge, and cultivate the critical skills necessary for academic success and college and career readiness. 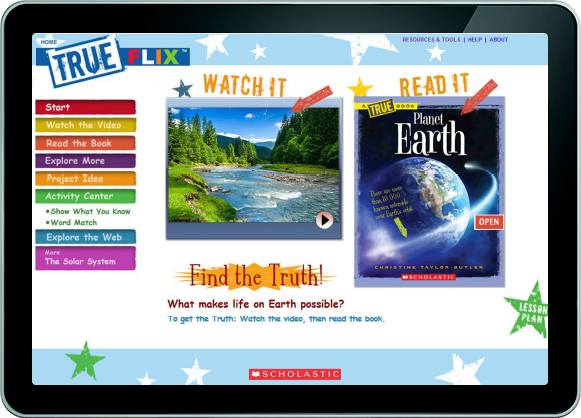 Videos build crucial background knowledge, introduce vocabulary in context and engage all types of learners all while introducing the topic at hand. 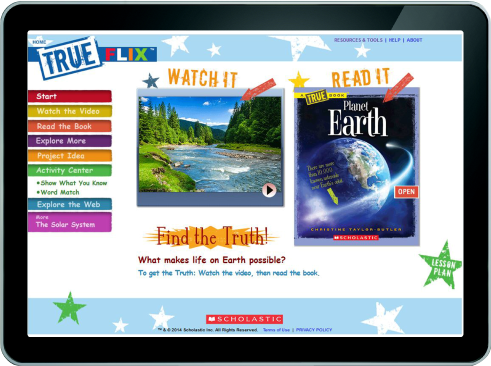 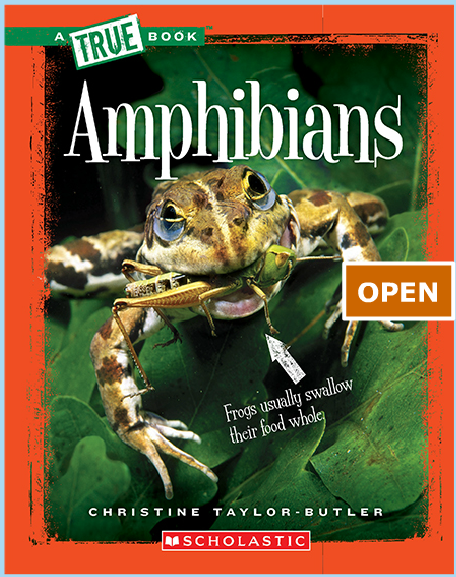 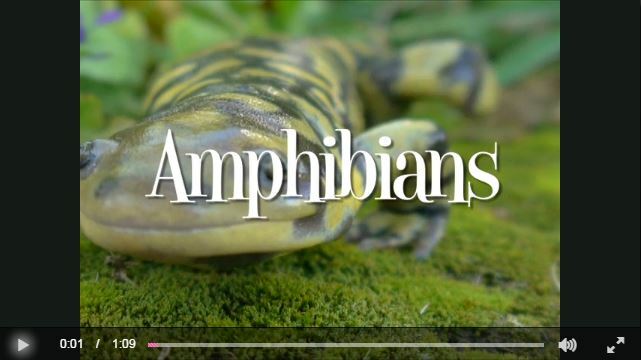 Digital flipbooks with nonfiction text build content knowledge.